It's been a long time since free food showed up in the mail here at Spoke HQ, but today a little box containing my afternoon's salvation showed up. 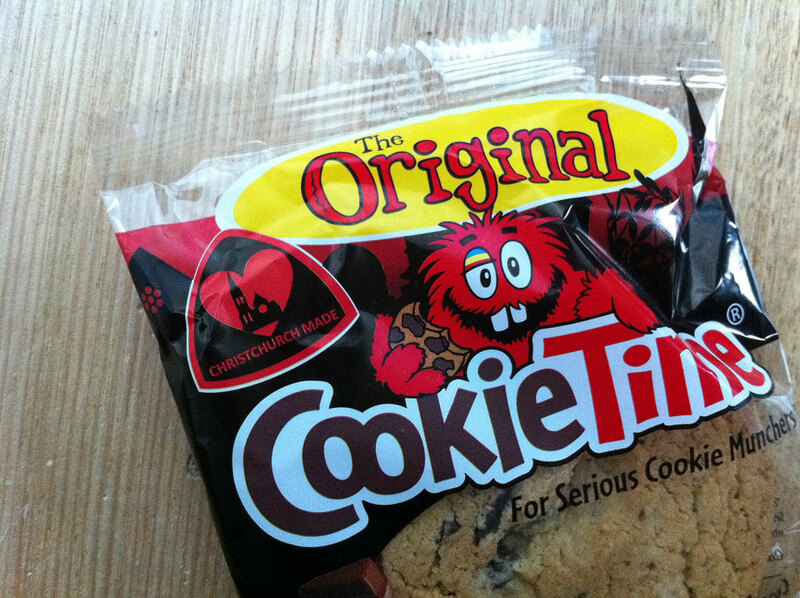 Yup, Cookie Time cookies. Now although they may look like normal Cookie Time cookies, they are in fact limited edition (aren't all cookies limited edition?) Well it's more the packaging that's limited. See the little Love Christchurch Made logo? That's designed to promote you supporting Christchurch business; when you buy a cookie you're not just helping Cookie Time, you're helping all the Christchurch businesses that supply them as well. Add to that the fact that Cookie time has donated over 25,000 cookies and OSM bars to the Christchurch quake relief effort. So look for the Love Christchurch Made logo everywhere and support Christchurch.